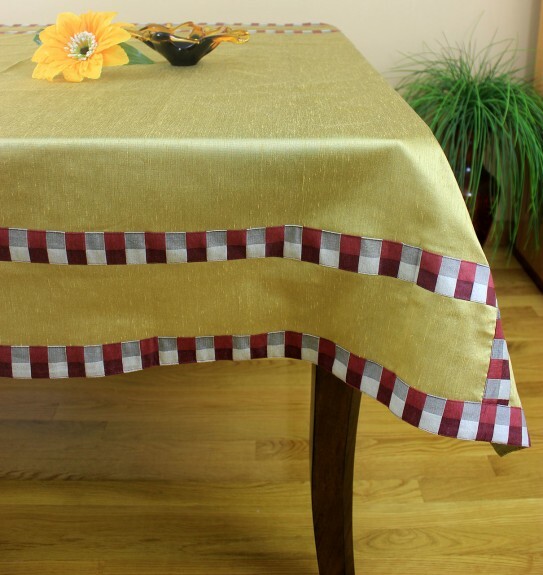 The Modern Squares 52" x 70" rectangular tablecloth from Banarsi Designs is crafted using shimmering dupion satin fabric and provides both décor and protection for all table tops. 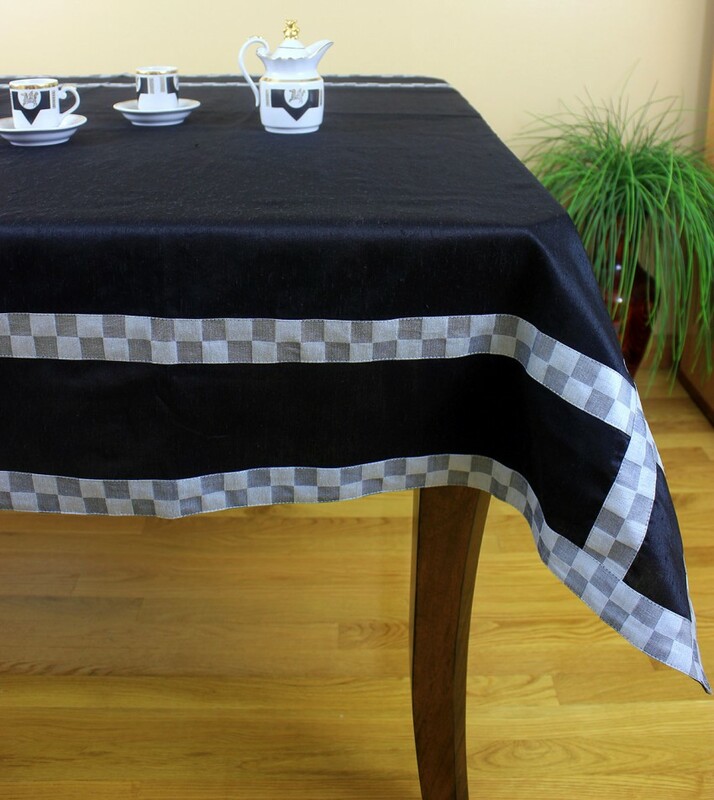 Our Modern Squares Rectangular 52" X 70" inch tablecloth is not only a beautiful table linen intended for decoration but it is also an ideal way to protect your table tops. Since tabletops are vulnerable to dust, scratched surfaces and other damage, it is essential to take great care of your furnishings; thereby, tables last longer and remain looking like new! 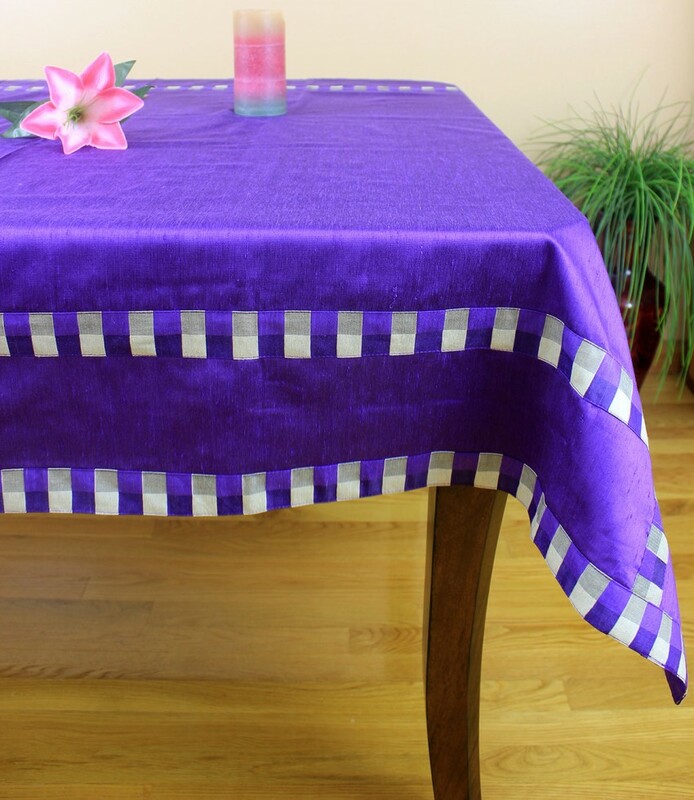 This tablecloth offers both protection and beauty. It is crafted in India and features colorful squares that surround the entire border. The fabric is composed with shimmering dupion satin which is a longer lasting and more wrinkle resistant material. It comes in bold colors including: black, red, gold, and purple. You can choose the color that best matches your theme by exploring our Banarsi Designs online catalog. 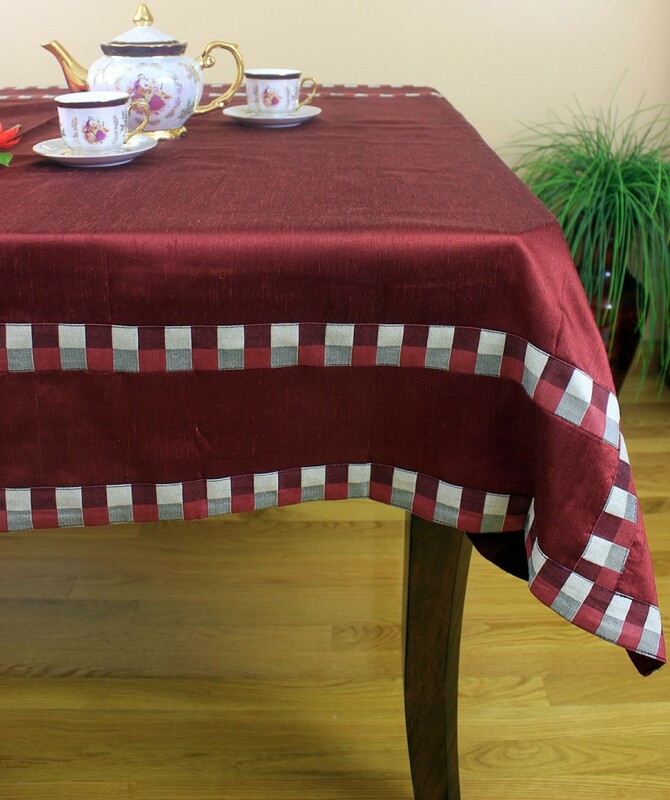 Our decorative tablecloths not only enhance the beauty of your home but also protect your tables.